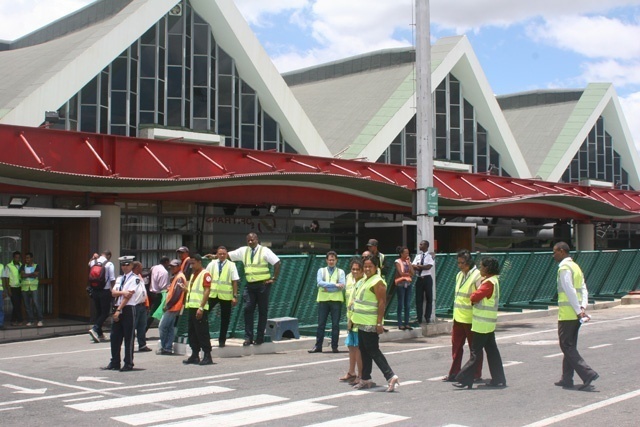 (Seychelles News Agency) - Air Seychelles, the national carrier, is temporarily suspending its services between Seychelles and Madagascar as of Sunday. The airline said the suspension follows the guidance and request of the Seychelles' Public Health Authority amid concerns over an outbreak of plague in Madagascar. The Authority said this preventive measure is being taken due to the heightened risk of introducing the plague into Seychelles and the island nation’s limited capacity to keep large numbers of people under different forms of surveillance. The last Air Seychelles flight to Madagascar is on Friday, October 6. Guests who are affected by the service suspension are advised to contact the airline on telephone +248 439 1000 or via email on callcentre@airseychelles.com. Active preventive measures against plague are being taken in Seychelles, a group of 115 islands in the western Indian Ocean, after a Seychellois basketball coach, Alix Allisop, died from the disease late last month in a hospital in Antananarivo, the Malagasy capital. The other members of the Seychellois basketball delegation, who were in close contact with Allisop, were placed under observation upon their return. All passengers onboard the flight from Madagascar on Thursday have also been placed under passive surveillance bringing the number to 81 at the military academy at Perseverance, a reclaimed island on the outskirts of Victoria. There are currently three people on active observation in Seychelles and receiving treatment after showing some of the symptoms associated with the plague. According to the World Health Organisation (WHO), the signs and symptoms of the plague can include sudden fever, chills, painful and inflamed lymph nodes, or shortness of breath with coughing where the saliva or mucus is tainted with blood.